532 Beacon is located on the north side of Beacon, between Massachusetts Avenue and Charlesgate East, with 530 Beacon to the east and 534 Beacon to the west. 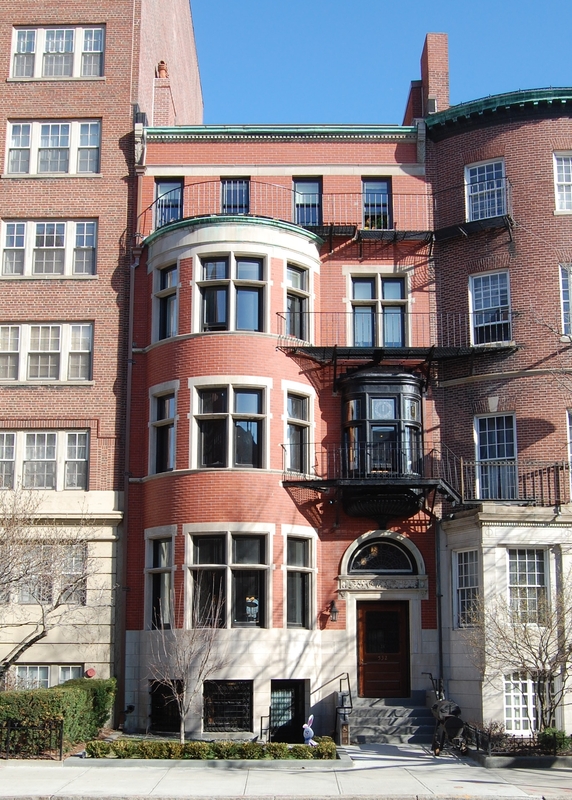 532 Beacon was built in 1900 by Morrison Brothers, builders, for Francis William Kittredge and his wife, Mary Hascal (Wheaton) Kittredge. She is shown as the owner on the original building permit application dated April 23. 1900. 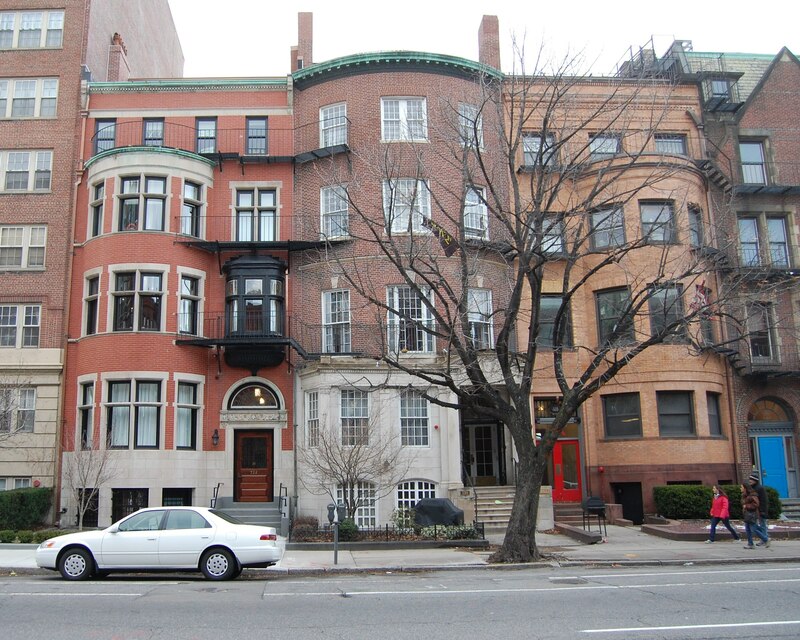 In his Houses of Boston’s Back Bay, Bainbridge Bunting indicates that the architect for 532 Beacon was Geoffrey Hay. This appears to be a misreading of the original building permit application (there was no architect named Geoffrey Hay listed in the contemporary City Directories), which is difficult to read but appears to indicate that George A. Avery designed the building (he also was the architect for 530 Beacon, built in 1908). Mary Kittredge purchased the land for 532 Beacon on July 12, 1899, in two transactions: a 24 foot lot to the east from Dr. Charles Pickering Putnam, and a 2 foot lot to the west from Thomas W. Lawson. Both lots previously had changed hands and originally were part of a 56 foot lot purchased by Dudley L. Pickman on June 2, 1887, from the Boston and Roxbury Mill Corporation. Click here for an index to the deeds for 532 Beacon. 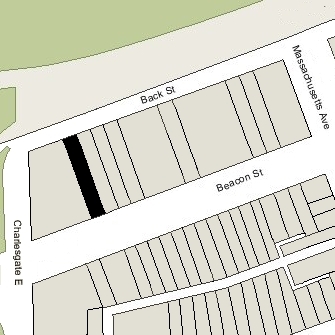 On February 24, 1890, all of the owners of land on the north side of Beacon between Massachusetts Avenue and Charlesgate East had entered into an agreement limiting (until January 1, 1905) the depth of any new buildings to 90 feet from the north line of Beacon (with bays and other projections limited to extending another 5 feet), and limiting the height of stables and other ancillary buildings further north to no more than 12 feet in height. The agreement probably was prompted by construction of The Austerfield at 7-9 Massachusetts Avenue (502 Beacon). It was the only building on the block and its north façade extended to Back Street. When Mary Kittredge acquired the land from Charles Putnam, he included language in the deed (for the benefit of his remaining land at 530 Beacon) extending until January 1, 1930, the restrictions contained in the 1890 agreement as they applied to the lot at 532 Beacon. By the 1900-1901 winter season, Francis and Mary (Wheaton) Kittredge had made 532 Beacon their home. They previously had lived at 536 Beacon. Francis Kittredge was a lawyer. He served in the Massachusetts House of Representatives in 1889-1891 and in the State Senate in 1893-1894. The Kittredges’ four children lived with them: William H. Kittredge, Cornelia Kittredge, Wheaton Kittredge, and Francis William Kittredge, Jr.
On January 14, 1908, J. Alfred Anderson, the owner of 530 Beacon, released Mary Kittredge from the terms of Charles Putnam’s deed extending until January 1, 1930, the restrictions on the depth of buildings and on the height of structures in rear of the properties contained in the 1890 agreement. On the same day, they entered into an agreement with the owners of 526 Beacon and 528 Beacon extending the restrictions until January 8, 1918, for 526 Beacon and until January 8, 1923, for 528-532 Beacon. The restrictions were further extended to May 1, 1932, by a March 29, 1912, agreement among all of the owners of the property at 506-532 Beacon. Wheaton Kittredge, a lawyer, married in June of 1908 to Laura McFarlin. After their marriage, they lived in Newton Centre. William Kittredge died in October of 1911. He was a music teacher. Francis Kittredge died in November of 1913 and Mary Kittredge died in August of 1914. Cornelia Kittredge and Francis Kittredge, Jr., continued to live at 532 Beacon during the 1914-1915 winter season, but moved soon thereafter. 532 Beacon was not listed in the 1916-1919 Blue Books. 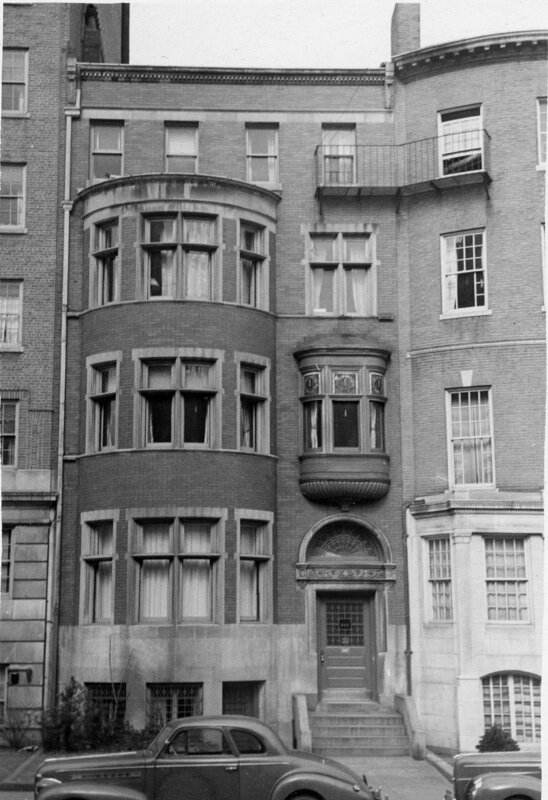 By the 1919-1920 winter season, 532 Beacon was the fraternity house of the MIT chapter (Alpha Theta Chapter) of Sigma Chi fraternity. On April 30, 1924, 532 Beacon was acquired from Mary Kittredge’s estate and heirs by real estate dealer William J. Stober, and on May 1, 1924, it was acquired from him by trustees for the benefit of the Alpha Theta Chapter of Sigma Chi. On January 1, 1983, the successor trustees transferred the property into the fraternity’s name. 532 Beacon remained the Sigma Chi fraternity house in 2018.